As part of the effort, several of us collaborated in creating a transmedia publication that includes a book, website, poster and mobile phone content that address the design and educational issues related to ubiquitous computing. The publication is an ecology of essays, and a glossary, forum, interactive works, video, and a short story by Bruce Sterling. I was a lead co-author, contributing two essays including the key Models section of the website and book that lays out the conceptual foundation for The New Ecology of Things. 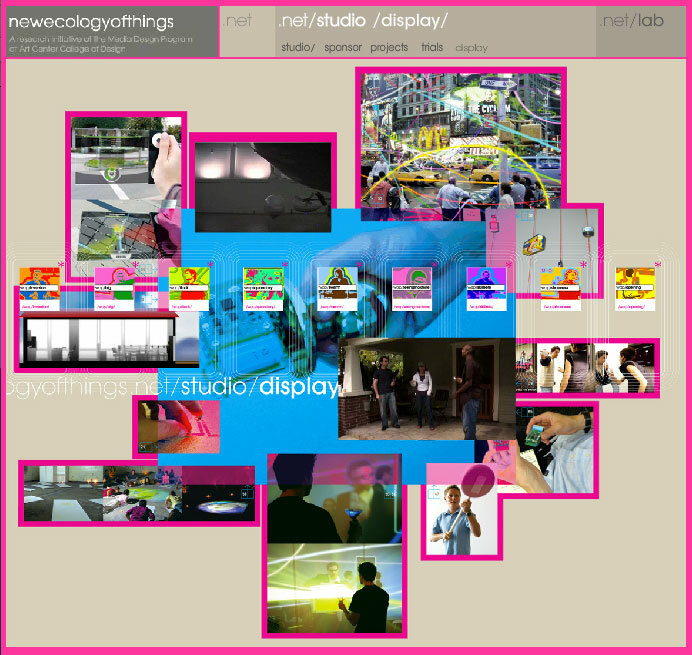 I also designed and developed the /words/ interactive feature, worked with Anne Burdick on the design and implementation of the whole newecologyofthings.net website, and implemented the mobile parts of the project. The book is available here: The New Ecology of Things (NET) .